2005 single level 3536 sq. ft custom Superstition Highland home w/ RV garage. 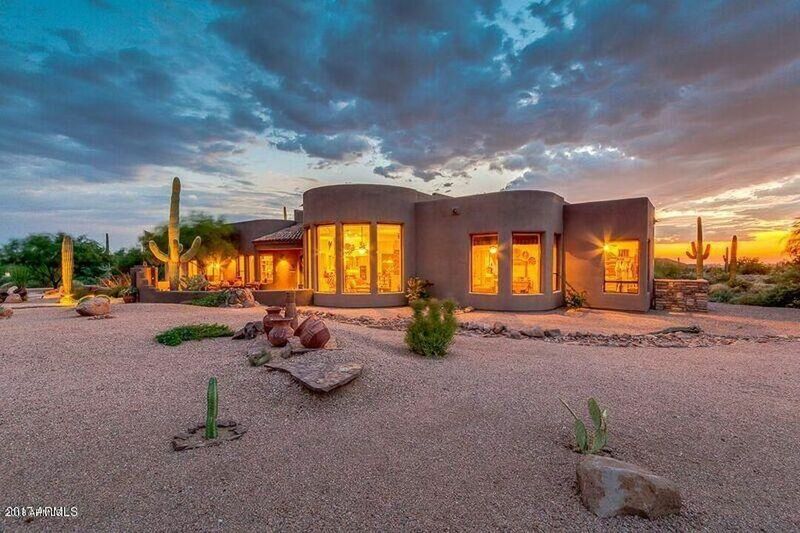 Offers paved access, stunning views of the Superstition Mtns & pride of ownership! 3 BDRM'S + Office, volume ceilings & central vac, great room showcases spectacular Superstition Mtn views, custom water feature & custom lighted entertainment wall w/surround sound, master suite boasts magnificent mtn views, his/hers luxury dressing rooms, dramatic stone shower, Jacuzzi tub, his/hers vanities w/copper sinks, game rm/dining rm sports stone fireplace. Kitchen offers Alder cabinets, granite & center island w/seating, , private office has Superstition Mtn views, RV garage includes insulated workshop w/ AC, 220 & blt-in cabs, backyard boasts view fencing, ext patio w/sound, outdoor kitchen w/fridge, BBQ, view deck &spa.